Al-Wali comes from the three-letter root: w-l-y. The root of the word means to be very close, without any barrier. For example, if someone was sitting somewhere, the person right next to him – not separated by anyone else – is the one yaleehi or the wali. Hence it also has the following meanings: to be a helper; to defend and to guard. Imam Al-Ghazali, may God have mercy on him, states that Al-Wali is also “lover and protector.” This is the general meaning of God Almighty being Al-Wali. 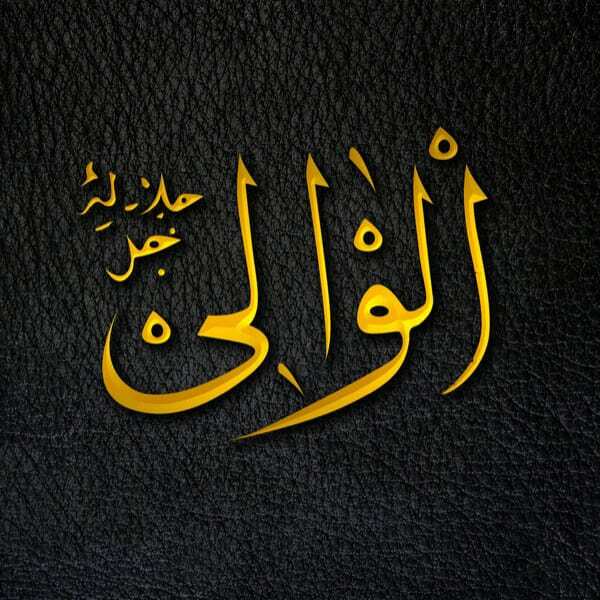 There is the general meaning of this Name, and then the specific one- the wilaya of those who are close to Him. God Almighty tells us that: “Whosoever acts with enmity towards a closer servant of Mine (Wali), I will indeed declare war against him. Nothing endears My servant to Me than doing of what I have made obligatory upon him to do. And My servant continues to draw nearer to Me with the supererogatory (nawafil) so that I shall love him. When I love him, I shall be his hearing with which he shall hear, his sight with which he shall see, his hands with which he shall hold, and his feet with which he shall walk. And if he asks (something) of Me, I shall surely give it to him, and if he takes refuge in Me, I shall certainly grant him it.” (Bukhari) By focusing on what God loves – the obligatory acts – we begin on this journey of closeness to Him. And it is not just by doing the actions, but understanding the true meaning behind them: seeking to connect to Him with our prayer; restraining the lower self when we fast; being humble when we give charity; and remembering that we are brothers and sisters when we perform the Hajj (greater pilgrimage). Then by moving on and adding those things that are voluntary, we become beloved to Him, and then become part of His special friendship and protection. Imam Al-Ghazali states that the one who is a wali of God befriends His friends, and shows enmity towards His enemies. And who are the enemies? “One’s own [lower] self and Satan.” The fruit of that is having neither fear nor grieving (Qur’an, 10:62).